We are committed to providing effective chiropractic care and educating families in a fun healing environment with enthusiasm, excellence, kindness, integrity, mutual respect and trust. 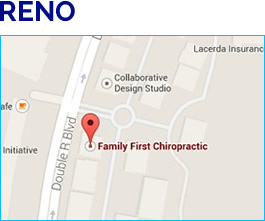 Family First Chiropractic was founded in 2000 and has two convenient locations in Reno and Sparks to meet the needs of all of our patients. 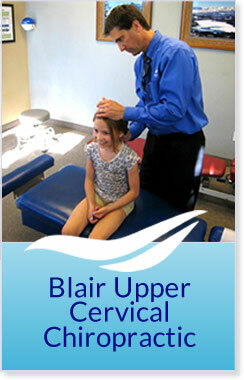 We’re committed to providing effective chiropractic care and educating families in a fun, healing environment. Our Reno chiropractors, Dr. Cliff Fisher, Dr. Jack Nolle, Dr. Rick Swecker, Dr. Raymond Daniels, Dr. Aaron McJones, Dr. Brandon Frankel, and Dr. Shain Smith offer the highest quality personal and comprehensive wellness care. Our unique, safe and gentle approach cares for the whole body. We listen to you, we care for you and we get you results. We offer cutting-edge techniques in both the Sparks and Reno office locations to provide patients with confidence, and make them comfortable as they receive care. Our patients never experience any apprehension about being adjusted, and happily demonstrate this by bringing in their entire families, including newborns, children and mothers-to-be and seniors. Not only do we have a reputation for excellence in our community, but for the authentic relationships that we strive to create between our team members and the members of our practice family. 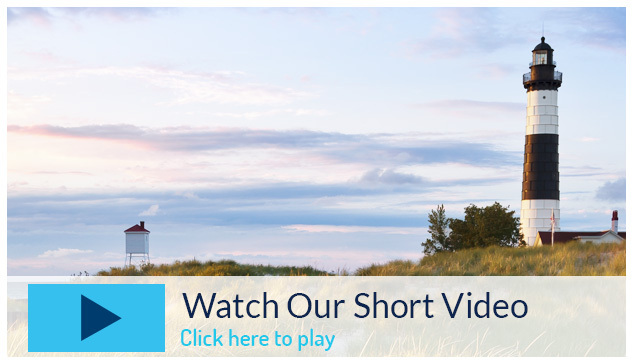 We care for our patients with enthusiasm, excellence, kindness, integrity and mutual respect. 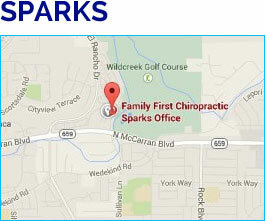 We’d be pleased to welcome YOU to our family of satisfied chiropractic patients. Why not give us a call today at (775) 284-3333? Everyone is super friendly! They take the time to ask questions about you, your background, and family which feels like they are really trying to get to know you as a person and not as a number. Dr. Steve is awesome and I am hopeful that I can live pain free without meds for the first time in 15 years!! I would definitely recommend it to other people. More then I expected thanks! I was so impressed with the thorough assessment. The staff was friendly and really enabled me as a patient to be a partner in my own healthcare. Could not have had a better experience. Everyone is so friendly and helpful! My 4 month old son was having issues with his neck and is lifting his head now after only 2 adjustments, Dr Ray is the best! Super friendly staff and the doctor was extremely patient in answering all my questions and describing the treatment path, highly recommend! The office staff are friendly and put me at ease. Thank you!! I am extremely happy with the thoroughness of care I am receiving. Holly was fantastic! Dr. Jack is going to be my best friend! 3 minutes and I feel better than I have in 6 months!! Can’t wait to start an actual treatment plan. Thank you all! Wow was I pleasantly surprised! Warm welcome by every staff member I crossed paths with; friendly, happy, fun…it’s clear the staff love their job and being a part of FFC. I’m a first-timer to chiropractic health…eye-opening! I’m looking forward to my future wellness path! Very professional front desk staff, Chiropractic assistant and X-Ray tech. I was seen almost the moment I walked into the office – and I was early. Thank you all. I have been seen by Dr. Cliff and he has helped me very much, I am completely satisfied with his professionalism in treating me. Thank you very much! Very nice office (clean & modern). Good vibes (environment is fun/ thoughtful). Great flow (consult, group meeting, one-on-one, adjustment and checkout). I left feeling hopeful about the care I will be receiving over the next few months and confident that I am in good hands. My first visit was very impressive and thoroughgoing. Thank you to a understanding, informative and compassionate staff. Everyone was wonderful. The care and consideration I am receiving is second to none. I especially appreciate the encouragement given to be a better healthier me. Thank you so much. The FFC program is the most thorough examination and treatment plan that I have experienced in chiropractic care. The initial results (first week) are better than I expected. I will recommend their services to anyone. Super friendly, explained everything clearly and professionally. This office is phenomenal from front office staff to doctor they were all kind and welcoming! If only every office was like this, they truly treat you like family and it was my first time meeting them. Family First Chiropractic has changed my life, and I have only been going for about three weeks! Dr. Harry is amazing. He is a great listener, I was an emotional and physical wreck my first two visits, he has changed my outlook on my future in such a positive way, I look forward to each visit. Nice office environment. They used first names of their clients. I felt comfortable and the staff was more than helpful and made me feel at ease. Wonderful Doctors and great staff!! I really liked the comprehensive approach of a thorough diagnosis followed by the explanation of where I’m at now and where we want me to end up after treatments. The staffs follow up on questions and concerns was excellent. I love so much how much attention is given to finding out the “why” there are symptoms. I went to 3 chiropractors over the last year before I remembered Dr. Fischer’s team. I am so glad I remembered! Dr. Aaron was amazing and my son thought how well he listened to him was great. We will definitely recommend this office to friends. A very new experience for me when they took me to a classroom setting and explained about chiropractic care and how it helps us be a lot healthier. To me it really shows that they care. Great experience! I look forward to getting to know you and continuing with maintaining our good health. Everyone and I mean everyone was very helpful knowledgeable and caring. I love it here!! All staff was extremely nice. The atmosphere within the office was so positive that it took the nervousness out of the visit. Thank you for making me feel welcome from the moment I walked in the door. Keep up the great work! Everyone was incredibly helpful and polite. The staff was very quick and ensured that I was comfortable and informed every step of the way. Very helpful and friendly office. I would recommend your practice to others. Everyone is so sweet and helpful. I love going there, the only way to make it better is to make it free. Absolutely love the customer service and family aspect that Family First Chiropractor provides. Never have had such an amazing experience with receiving chiropractic care!